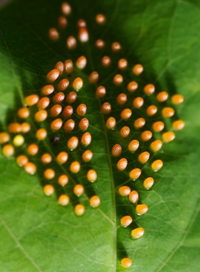 Butterfly eggs are usually laid on plants. 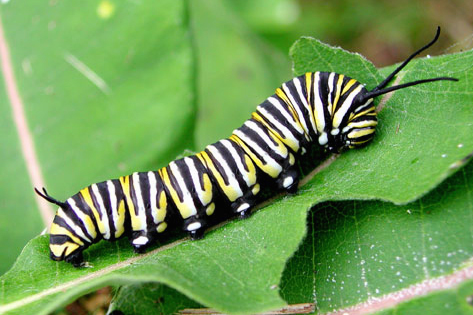 Caterpillars do not stay in this stage for long, and all they do is eat. This is the really awesome stage where the rapid transformation is taking place. 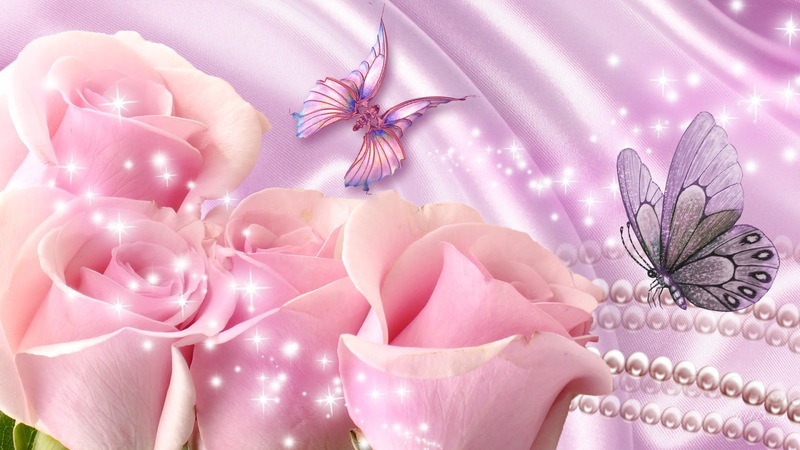 The butterfly emerges and has one purpose - to reproduce. 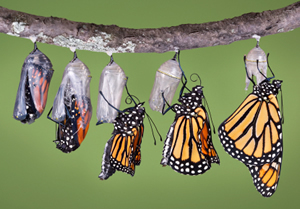 Metamorphosis: A change of the form or nature of a thing into a completely different one, by natural or supernatural means; change, alteration, conversion, reconstruction; a great change in appearance or character. I wonder if caterpillars know when they form themselves into a pupa that they are going to emerge a completely different, beautiful creature? 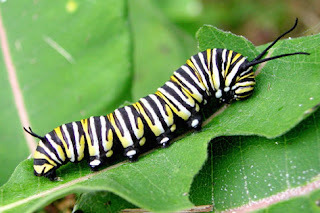 While it may look like they are just resting, the old body parts of the caterpillar are going through a complete and remarkable transformation to become the beautiful parts that make up the butterfly. All of the forming and changing has taken place in secret. Inside the safety of the pupa - the "bubble." Which is why butterflies are lucky. They know their destiny. A few weeks in the pupa, and Ta-Da! - a beautiful butterfly is born. 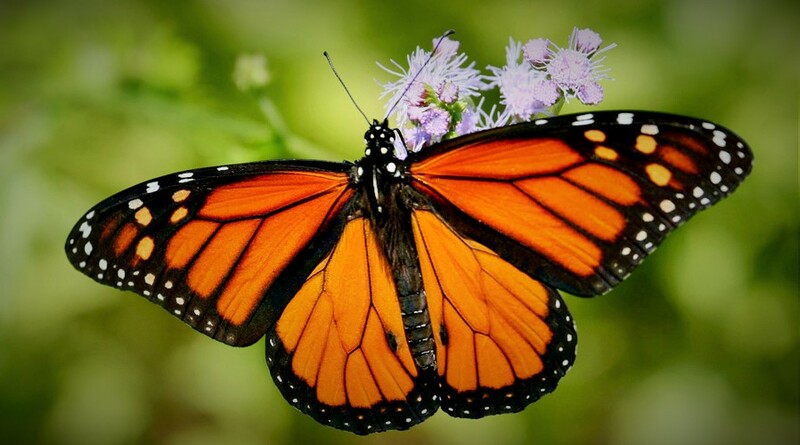 Humans are not butterflies. We are transforming continually over a lifetime. And not in secret. We all go through many transformations in our lifetime, and usually it's in front of everyone in our world - our family, friends, coworkers. They see the good, the bad, and the ugly. 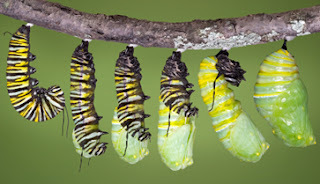 We don't have the luxury of wrapping ourselves up into a tiny, little chrysalis where we can go through some of life's most painful transformations privately. It's essential for us to have the encouragement and support of those who know us best and love us most when we are going through the natural process of growing in life. They are there to watch us stretch and grow and follow our dreams and fly! To chase after what we feel is our God-ordained purpose in life. Our destiny. But what about when our "bubble" is actually hindering our growth? I like my bubble. It's safe and convenient and comfortable. "Trouble Inside of my Bubble" for sure! I live in a safe community, in a safe home, with a safe church, and safe jobs, and safe friends, with a safe future. Get the picture? God brought me to this city, this place of safety, 17 years ago. I believe His purpose was to train me and prepare me for a future purpose - a destiny much bigger than myself. I am happy here and ever so grateful for every friend and every situation! I have experienced growth and passion for people that I don't believe would have ever happened had I not moved to this wonderful city. Once again, God has fashioned beautiful pearls in my life. I have changed. I have grown. I have been transformed into a new person. 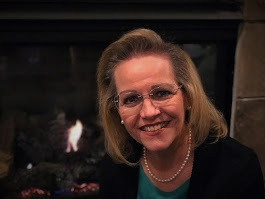 Over the past several years, God has placed a dream in my heart to reach outside of anything I believe I can do on my own to touch and help the lives of many, many women just like me. I have a heart to help, and right now it's just a dream. But for it to become a reality, I will need to step outside of my comfort zone, my bubble, and follow the direction where I believe God is leading me. To fly. It will require me to say, "Bye-bye, Bubble!" Can I say no? Yes. Within the next few days, I will be announcing what I believe is God's direction for my life in the coming days, weeks, and months. All of the details are certainly not worked out yet, but I am excited about the future. Excited about the things God can do through me that will have eternal impact. This butterfly is ready to emerge from the bubble and reproduce. ﻿Thank you for sharing this time with me. You are my heart. This is a thrilling time for you, Mom! The reality of so many years of planning and being trained are getting ready to culminate in this incredible next chapter of your life. You are willing! You are equipped! You are ready! You are going to continue to make an incredible difference in people's lives just as you have always done. The amazing thing about people not having the ability to change in secret is that they are required to be vulnerable. Your life of continual change, which you have embraced with class, grace and dignity, provides an example others may look to for and at as a source of encouragement. I'm grateful to you for not trying to hide during your times of evolving into the next, better version of yourself! You are not at all the same person! You are better! And you are not alone; you have so much support! Go conquer the world!!! Thank you once again, Jason, for your very kind and thoughtful words. Your support has been a never ending source of encouragement! I am so proud of you as you are also facing life with courage and chasing after your dreams. This mama heart is overjoyed! Teresa. I remember that day 17 years ago as we caravanned with our moving trucks, cars, trailer, kids and dogs 500 miles to a new city! What a joy it has been to be your friend. This blog is a long time coming. You go, girl! God will continue to use you in this new venue. You have always been a blessing. I love you in the Lord!